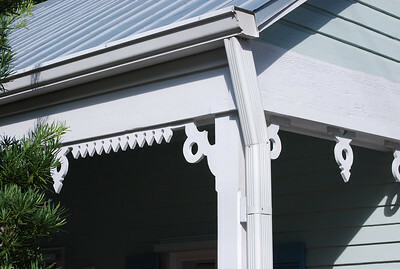 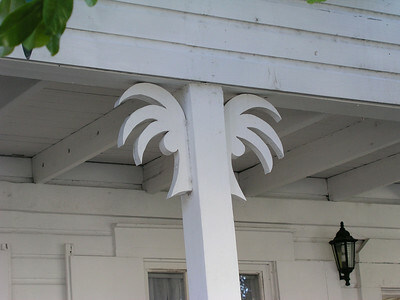 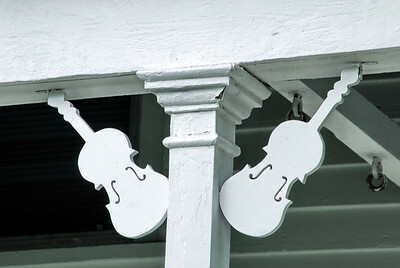 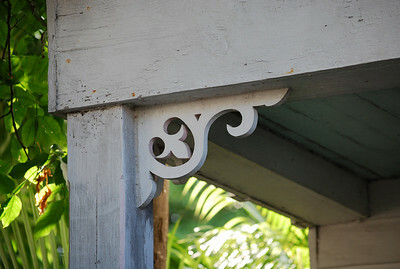 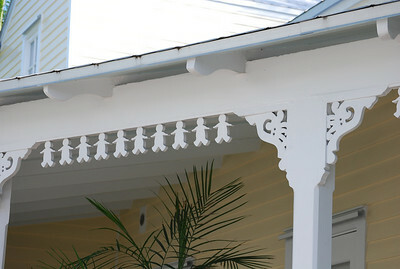 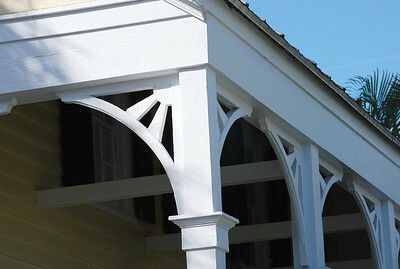 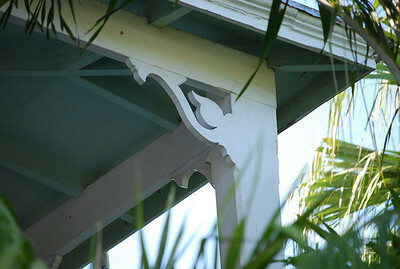 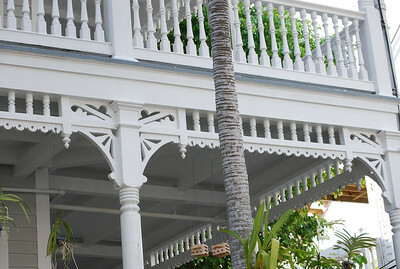 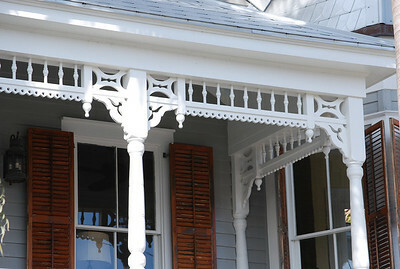 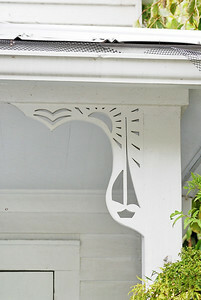 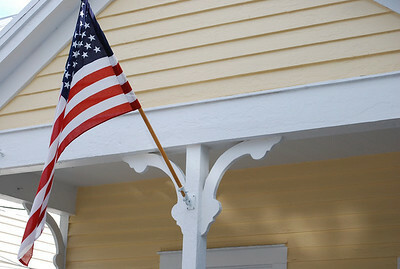 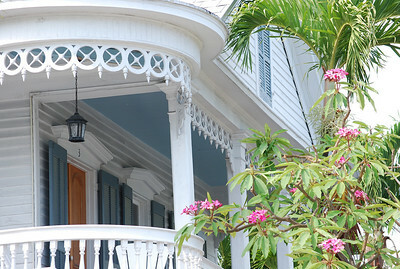 Key West’s island architecture is unique with the abundance of nineteenth century wood frame structures with over 3,000 listed on the National Register of Historic Places. 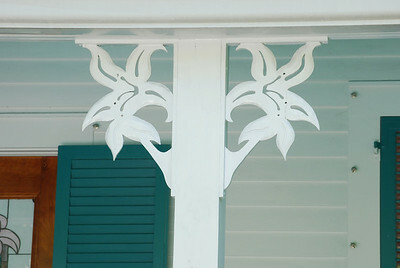 A distinguishing feature common on mansions to cottages is the distinctive and individualized wooden decoration commonly referred to as “Gingerbread”. 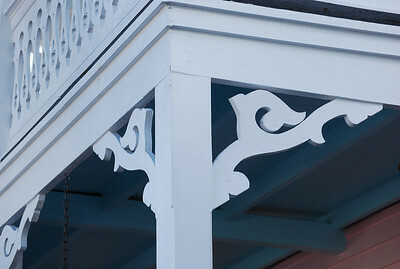 Hand cut by master carpenters, often experienced shipbuilders, this scrollwork provides an artistic ambiance that adds to the fabric of this island city. 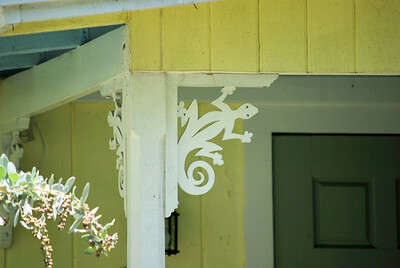 The Gecko Gingerbread. 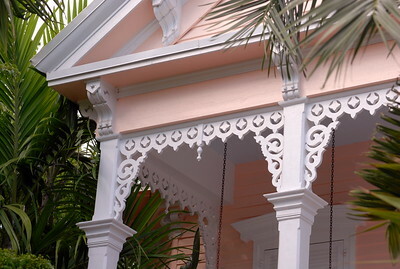 Now that's a Key West Gingerbread! 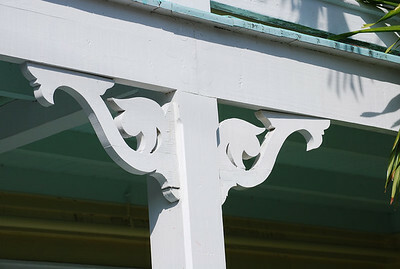 This is the sailboat, sun and seagull Gingerbread. 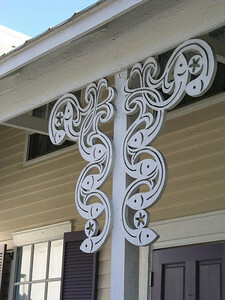 Who knows what this Gingerbread is supposed to be. 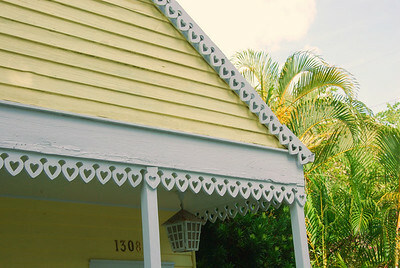 Very impressive amount of Gingerbread. 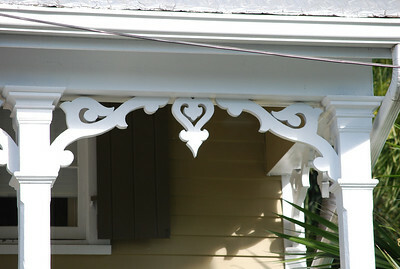 Simple Gingerbread style but very nice. 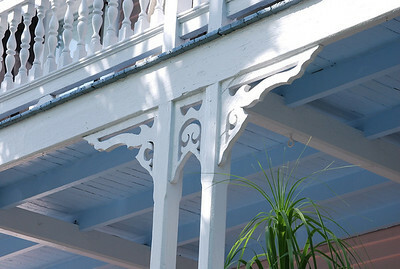 This house belonged to a sea captain and therefore the ships wheel Gingerbread.